Silvery Tone Canadian Soprano Meghan Lindsay - Alpha Artists Management, LLC. Hailed by critics as a singer with “lovely stage presence,” a “silvery tone,” and “exquisite mezza di voce,” Canadian soprano Meghan Lindsay excels across many genres. She is now in her sixth-season as a principal artist with Opera Atelier. 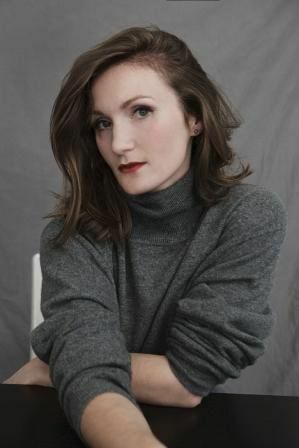 Recent and upcoming: Ms. Lindsay has triumphed at the Atelier in the title role of Alcina and completed a run as Amour in Gluck’s Orphée et Eurydice with the company. She reprised the role Sidonie in Armide, ending the previous season as Giunia in Mozart’s Lucio Silla. She has sung Belinda in Dido and Aeneas and later that season Nerine in Charpentier’s Médée with the company including a reprise at the Royal Opera of the Palace of Versailles. This season marked the release of Ars Lyrica’s La Sposa dei Cantici by Scarlatti as featured soloist. This past fall she covered the role of Giunia in Lucio Silla with Theater Basel and was Minerva and Cupid in Opera Atelier’s Il ritorno d’Ulisse in patria in spring of 2018. In the 2018-19 season at the Atelier she sings Arethuze and The Hunter in Charpantier's Galetée with performances in Chicago and Versailles; Ilia in Idomeneo; and, she makes her Odyssey Opera debut in Gluck's Paride ed Elena as Paride. Ms. Lindsay debuted with Ars Lyrica at the Houston Early Music Festival in works by Scarlatti and Bach. She sang Venus in Lully’s Persée with Opera Atelier at Versailles in a past season where the company returned with a tour of Armide. She has sung the role of Agathe in Opera Atelier's Der Freischütz, sang the title role of Luisa Miller with Opera Nova Scotia and Mimi in La bohème with The Northern Lights Festival. She made her U.S. debut under the auspices of Opera Columbus as Donna Anna in Don Giovanni and returned that season in the role of Sidonie/Nymphe des Eaux with the company in Lully's Armide in Toronto, The Royal Opera of the Palace of Versailles and the Glimmerglass Festival. Ms. Lindsay has been a young artist with Opera Studio Nederland where she made her international debut as Euridice in Pierre Audi’s production of Monteverdi’s L’Orfeo and her Concertgebouw debut performing excerpts from Don Giovanni and Le nozze di Figaro. That season she performed the role of Fiordiligi in Opera Studio Nederland’s production of Così fan tutte and Contessa in Opera on the Avalon’s Le nozze di Figaro. She also performed the title role in Massenet's Cendrillon, the première opera at Toronto's Koerner Hall with the Royal Conservatory Orchestra. Other highlights include performing Richard Danielpour’s Sonnets to Orpheus under the baton of Paul Nadler at Joan Dornemann’s inaugural music festival, Viva Virginia. An accomplished concert artist, Ms. Lindsay has been featured on CTV television, CBC radio broadcast and has toured China representing the Royal Conservatory of Music. She has been presented concert venues across Canada, including Barrie’s Colours of Music and the Creemore Music Festival and was a performer in Holland’s Uitmarkt. "Soprano Meghan Lindsay provided elegantly phrased support as Dido's sister, Belinda." "A cast member who is new to me is soprano Meghan Lindsay as Donna Anna, who has been training in Holland. She has a bright, forceful voice that commands the ear both in sweetness and in strength." "...Meghan Lindsay combines blond beauty with a solid delivery in the opera's title role."